Finding your kids the right dentist is a necessity. It is important you don’t just find a great doctor, but also one your kids will love and connect well with. 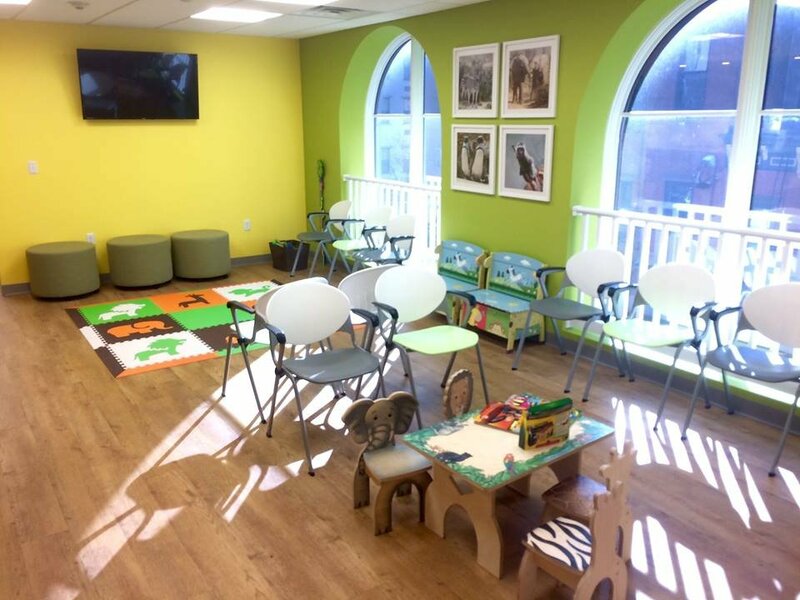 Furthermore, it is important the office is safe, clean, friendly, and has tons of fun toys and colors for kids to play with and look at while they are waiting for their appointments. Most kids are very apprehensive for their dentist appointment, so make sure you find them an awesome place! Below are some of the best pediatric dentists in Hoboken, NJ that you are you kids are sure to love! People have hardly anything bad to say about Happy Kidds Pediatric Dentistry. They accept most forms of insurance and most people have little to no out-of-pocket expenses during the time of the visit. The offices are also environmentally friendly, making this a huge bonus for many environmentally conscious families. Patients claim the office is friendly, colorful, and very clean, making it a wonderful environment for your children. The doctors are great with making children feel safe and comfortable during their teeth cleaning experience since kids often feel fearful of the dentist.They office is also praised for their short or no wait times – perfect for super busy families. Patients claim the office is friendly, colorful, and very clean, making it a wonderful environment for your children. The doctors are great with making children feel safe and comfortable during their teeth cleaning experience since kids often feel fearful of the dentist.They office is also praised for their short or no wait times – perfect for super busy families. Happy Kidds is one of the best pediatric dentists in Hoboken, NJ. Dr. Kapoor’s office and dentistry mission are to provide the best patient care that is patient and gentle. Additionally, taking a look at te big picture, team approach, and education are some of the most important philosophies for Dr. Kapoor. One Yelper claims, “I am so thrilled to have discovered Dr. Kapoor and her fantastic staff. I recently brought my 7-year-old and feisty 2-year-old there and the experience could not have been better. We even had to bring our7-year-oldd back for 3 extractions and she left saying ‘That was actually kind of fun.’ The office is clean and fresh and the overall experience is mellow and easy, plus flat screens on the ceilings for the kids and awesome movies to choose from. Dr. Kapoor gets an A+ from us!” Patients and families know Hoboken Smile Specialists are one of the best pediatric dentists in Hoboken, NJ by far. 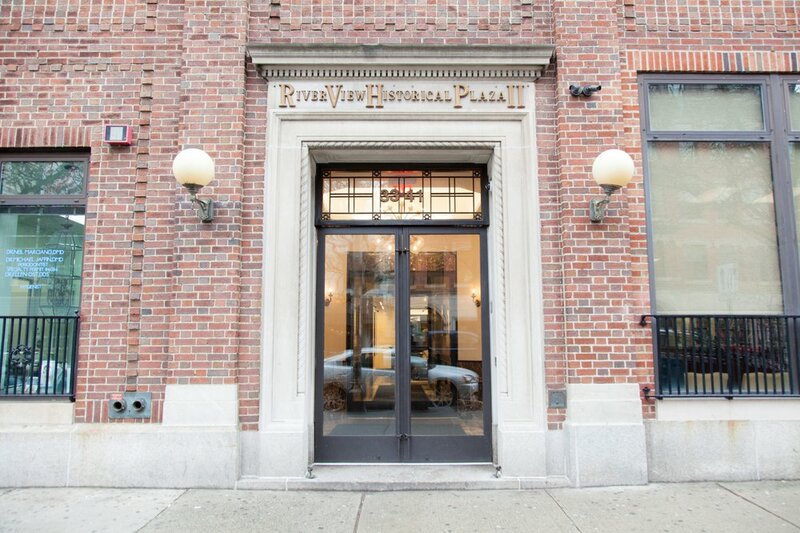 With over 15 years of experience practicing in Hoboken, Lucas Dental Associates have become one of the most trusted dental offices in the area. They are known for being very caring and compassionate to their youngest patients since they understand these experiences will shape the way individuals handle dentist visits in the later years of life. Their mission is as follows: “Our mission is to instill positive attitudes towards dental health care in children which will result in the confident comfortable adult patient. This is accomplished by building a partnership with families through education, and giving them the necessary tools to make the best decision for their child’s future dental health.” Between their mission and experience, Lucas Dental Associates is certainly one of the best pediatric dentists in Hoboken, NJ. If your child is extra nervous, you have the option for sedation through laughing gas or anesthesia. All of these awesome practices and benefits make them one of the best pediatric dentists in Hoboken, NJ. Our highly trained staff are committed to making your child’s first visit to the dentist pleasant and comfortable. We provide the highest quality dental services with the most up-to-date dental technology. We work with all major private Insurance companies and provide easy payment plans. We offer the most advanced preventative & orthodontic services available. As part of the Christ Hospital medical staff since 1983, Dr. O’Mallon is a dentist with a distinct advantage for your child. In-office sedation and hospital dentistry is also available. Please visit our website and see what more we have to offer. We help children develop long lasting dental health habits that give them smiles they can be proud of for a lifetime. My son has been a patient of Dr. O’Mallon’s since he was 2 years old..he is now 18! Not one time have I ever seen a child come out of his office crying…Dr. O’Mallon is the BEST!!! Drs. Musarra and Posner along with our dental team look forward to the opportunity to care for you, your friends and family. 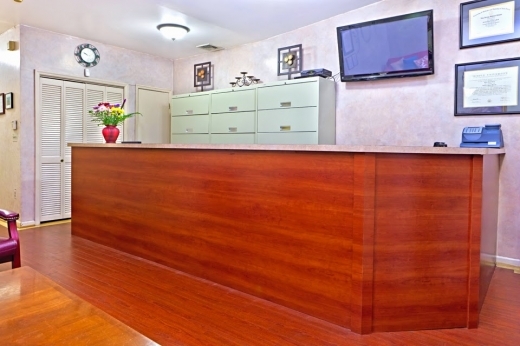 In our Hoboken office we are committed to providing a tranquil and soothing environment for each patient.At Dental Associates of Hoboken, we take pride in helping you achieve optimum oral health. We work with patients individually to educate them about dental care and then design customized treatment plans based on individual needs and desires. We are also an insurance friendly practice. We will process your claims to help minimize your cost of care.Maintaining our patients oral health is always our top priority. We promise to give you the attention and time you deserve.After all, your smile is the first thing people see. We want you to feel great about showing it every day. 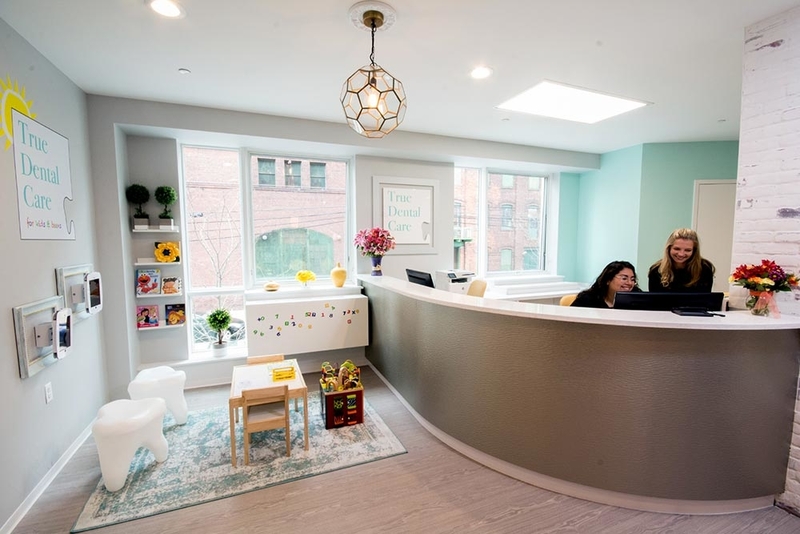 Easily one of the most stylish dentist offices in the Hoboken and Jersey City area, True Dental also specializes in kid and teen dental care. 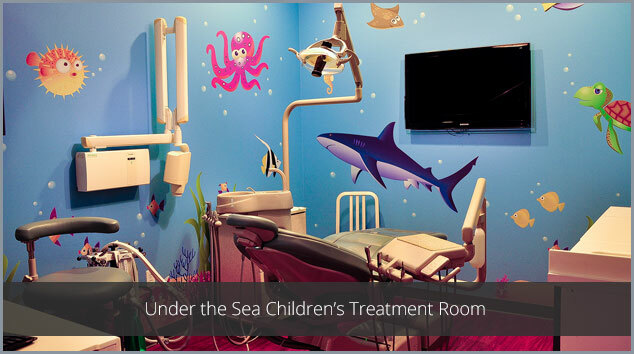 They offer a wide variety of dental and oral services and are sure to provide your kids with everything they will need.